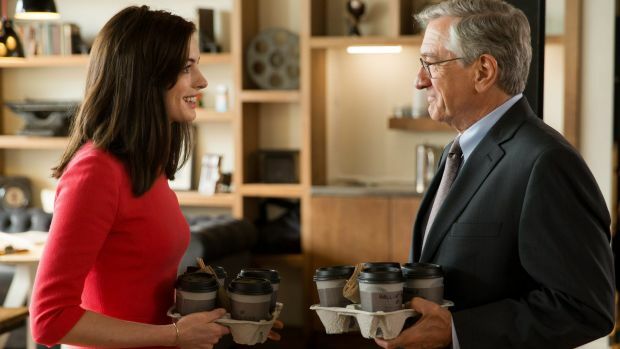 Australia’s Human Rights Commission will lead an inquiry into age discrimination in the workforce as the Federal Government finds employment rates for older Australians ‘disturbingly low’. The Australian government has commissioned a national inquiry into workplace age discrimination. According to the Australian Bureau of Statistics, there are around 5.5 million Australians aged 55 years and over, making up one quarter of the population. But seniors represent just 13 per cent of the workforce. The Australian Human Rights Commission will lead the inquiry. ‘Employment rates for older Australians and people with a disability remain at disturbingly low levels and we know that is largely as a result of discrimination,’ Attorney-General George Brandis said as the launch in Sydney. Age and Disability Commissioner, Susan Ryan, said there are many false perceptions about mature workers that are influencing companies hiring decisions. 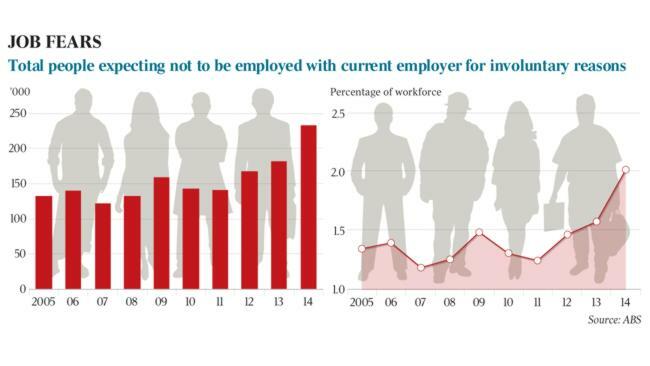 ‘They won’t adapt to change, they won’t learn new things, they won’t get on with the dynamic younger employees.. now, none of that is supported by evidence, but it is still believed by too many employers’ said Ms Ryan. The Commissioner said senior workers could add billions to Australia’s economy, if there was a slight increase in the number of aged workers. 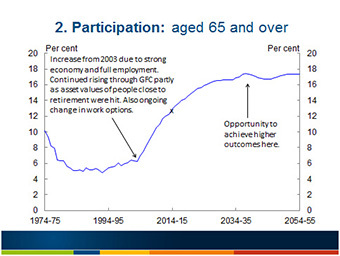 ‘If we could increase the participation of Australians over 55 in the workforce by just five per cent, we would get a $48 billion a year annual impact.’ Ms Ryan said. 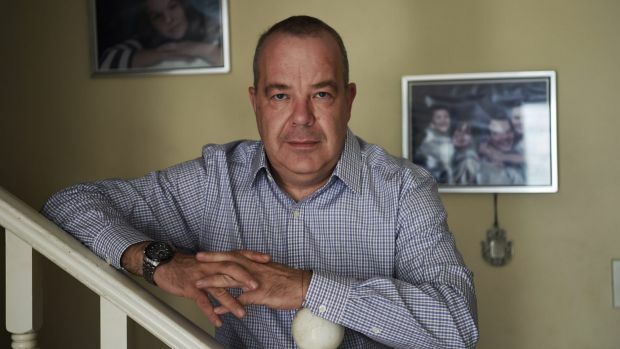 According to the Human Rights Commission, unemployement and under-employment of older Australians costs over $10 billion to the economy each year. ‘The Finishing Touch’, a Melbourne based moving and packing company, prides itself on being an age friendly employer and said it’s a win-win situation for companies. ‘We have over a dozen staff working for us currently who are aged 70 years plus. It’s a win-win situation you end up with a great employee whos able to make a really good contribution.’ said Steve Hitchings, the owner of The Finishing Touch. The moving and packing company employs more than 250 workers – their average age is 56 years old. Employee, Jan French is 59 years old and said she enjoys her work. ‘I like to keep busy and with this job there’s a lot of flexibility, clock in and out when we want, go for a holiday we can do other things.’ said Ms French. The inquiry will consult with businesses and members of the community across Australia and could recommend changes to Commonwealth laws. The inquiry will report to the Federal Government by July 2016. Australia’s prosperity is at risk of being put under increasing pressure over the next four decades unless Australians work longer and productivity is improved, according to a major report due to be released today. The ABC understands the Intergenerational Report, looking at population and budget projections to 2055, also states that economic reform is “crucial” to improve living standards. The document will be released by Federal Treasurer Joe Hockey today. Like previous long-term forecasts, the report will predict that the proportion of working Australians will decline as the nation’s population ages. By 2054-2055, the workforce participation rate is expected to be 2.2 per cent lower than today at 62.4 per cent. 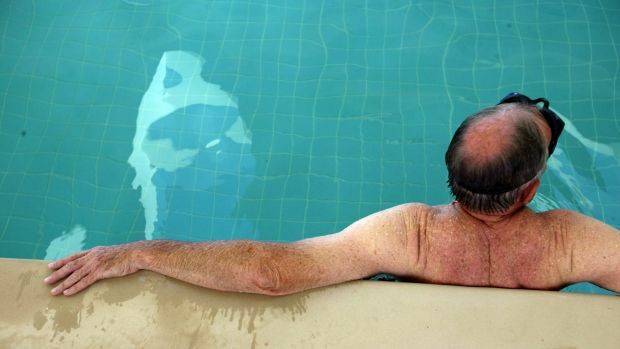 While the report will state “it is fantastic Australians are living longer, healthier lives” it warns there is a risk to GDP and income growth unless the Government can grapple with these demographic changes. It will suggest those not in the workforce, in particular older Australians and women, need to be encouraged to get a employment, re-enter the workforce, or prolong their careers. Infographic: Intergenerational Report workplace participation graph of demographic aged 65 and over. To do that, the report will advocate policies to improve the accessibility of childcare, more flexible working conditions and the removal of discrimination. Australia currently trails Canada and New Zealand in terms of total workplace participation, though gains have been made in recent decades. For example, the report will show the number of working Australians aged 55 to 64 increased by roughly 18 per cent between 1978-1979 and 2013-2014. Also, the number of women in work has increased by 20 per cent since 1974-1975. 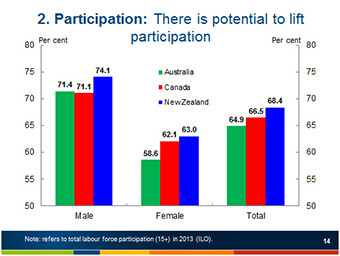 Infographic: Intergenerational Report workplace participation graph showing potential areas to lift participation. The Government is likely to use the Intergenerational Report to make the case for politically difficult policy changes in the next budget. The document will say reforms “to improve productivity will be crucial to achieve the growth in living standards” and wages. It will show average income levels have risen from about $40,500 in the early 1990s to about $66,400 today. “For every hour that is worked, Australians today produce twice as many goods and services per hour of work than they did in the early 1970s … It is no coincidence average incomes have almost doubled,” the report is expected to say. Assistant Treasurer Josh Frydenberg said the “landmark report” was a vital addition to complex national policy debates. “The detail it describes … will help the public understand the context for the Government’s economic decision making over the years ahead,” Mr Frydenberg said. The Intergenerational Report will also point out that the Government needs to ensure spending is sustainable. It will contain three forecasts of the nation’s cash deficit in 2054-2055. Under the policies of the Labor Government, the report suggests the cash deficit would be 12 per cent of GDP. But under the policies the Abbott Government has managed to pass so far, it forecasts a deficit of half that, or roughly $266.7 billion in today’s dollars. This should be an independent report and I am worried it will be used to justify savage cuts in the budget.